When Sushi Garden has a frustrating line up, we go to Green Basil even when it is an entirely different cuisine. I was surprised that Kingsway had decent Thai food and there was also no line up for Green Basil, so I guess why not? Service was not the best as we were often ignored and everything felt like it was in a rush. The food came soon after we ordered, but the two male servers in the restaurant weren’t that nice and almost sounded like as if they were annoyed with us. Luckily their food covered that up and left us with a content mood. I would usually order the Tom Yum Goong but this time I went for the “Tom Kah (CAD10.5)“. For those who aren’t hot spicy eaters can try this soup cooked with rich coconut milk to cover the spice with a sweet creamy taste. 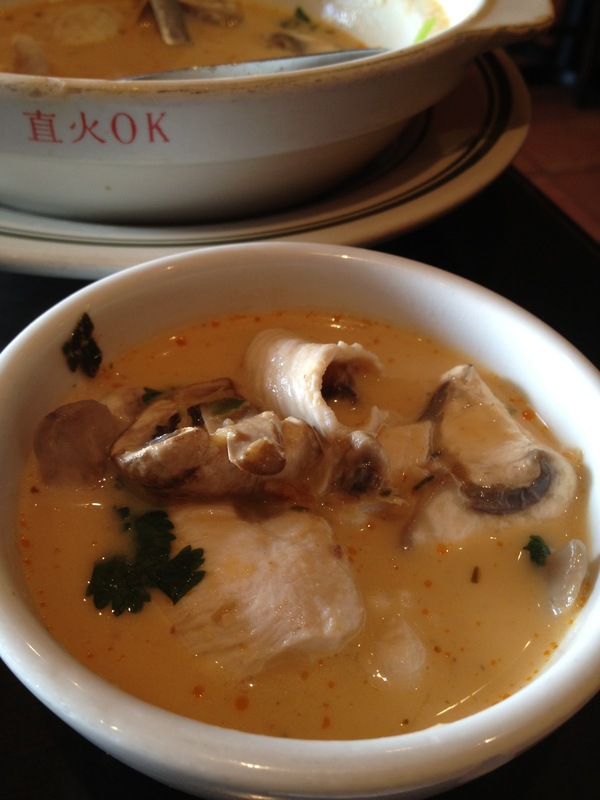 Other than the coconut milk the other ingredients are similar to Tom Yum Goong including mushrooms, lemon grass,chicken and other Thai spices. Being someone who has travelled to Thailand multiple times, I must say that this soup would have been better if it was just a dab more spicy. 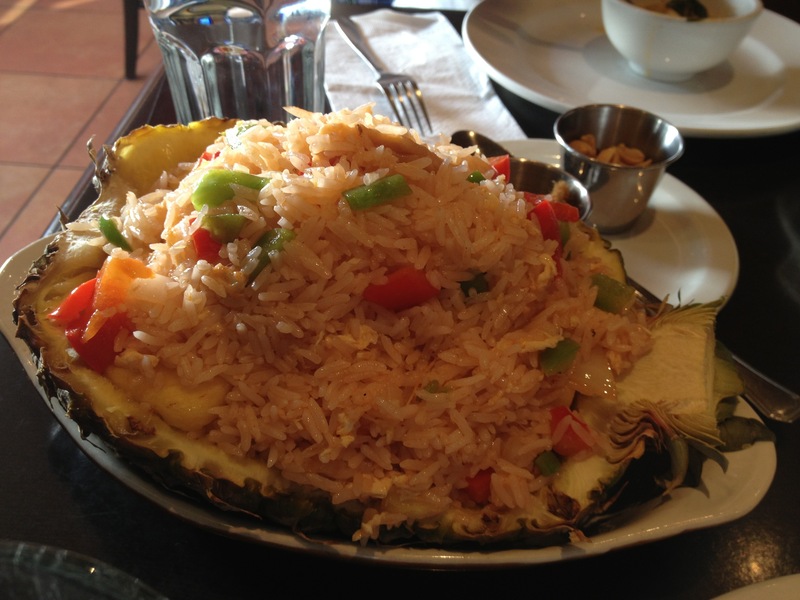 The famous pineapple rice or Kao Phat Sap-Bpa Roht (CAD14.95) that was too plain in my opinion but accpetable for Thai food in Vancouver. The pineapple “bowl” was huge with a mountain of rice, chicken, tomatoes peanuts, raisins and pork floss on top. 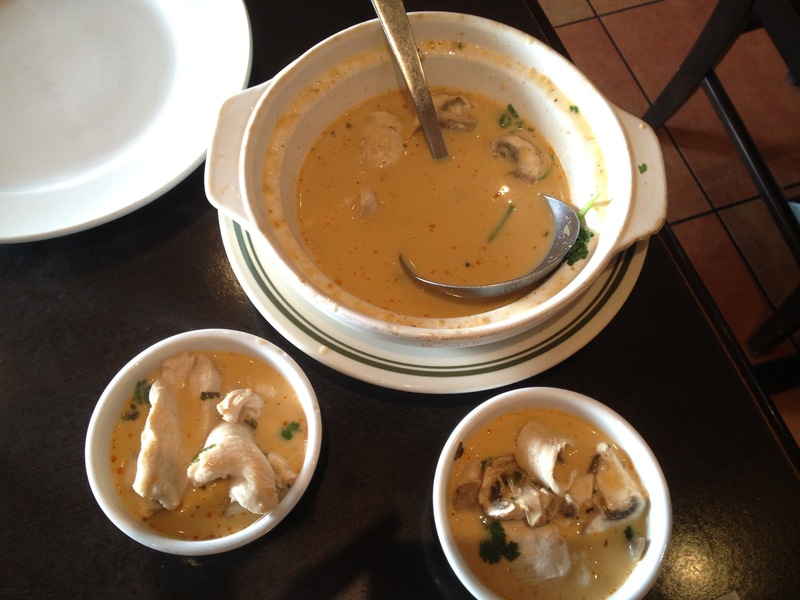 The Phat Thai (CAD12.95) is probably one of the most authentic and famous dish from Thailand. 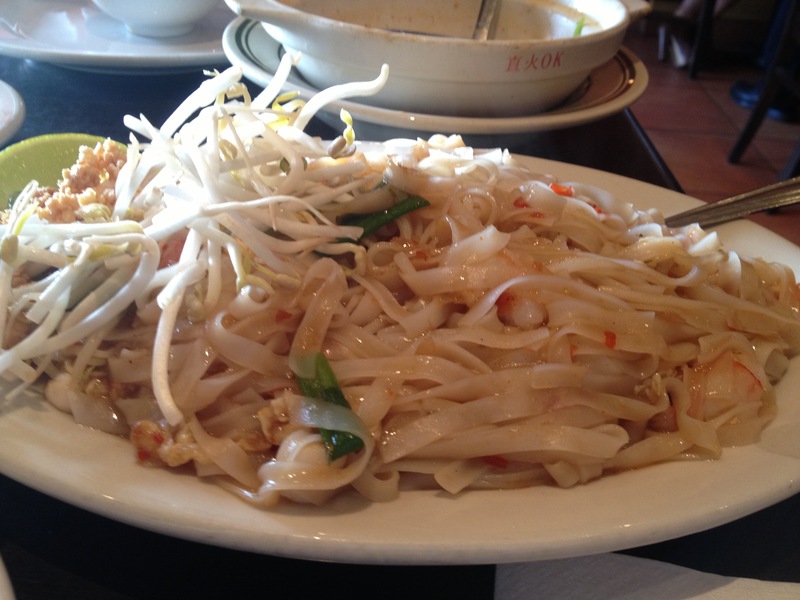 Green Basil executed it with legit Tamarind sauce tossed with shrimp, scallops, peanuts, bean sprout and egg noodles. The Phat Thai was moist and fused together so well that every bite was a sweet tropical flavour bomb in my mouth.